Ab-Soul's 2014 "These Days..." is a time capsule that holds thoughts, content and personal struggles during that time. When will it be relevant to discuss the critical thought spoken through the album? Western philosophy acts to dissect the underpinnings of thought within the social, religious and political sphere. These days, a new age of thought comes from those dedicated to the craft of wordsmanship; that represents ideas and concepts through songs—Hip Hop forms these ideas with an auditory format. With the release of DAMN., it completed the abstract, metaphysical, cubist thoughts of Kendrick Lamar et al. studying Kendrick Lamar. However, similar concepts can be identified in Ab-Soul’s albums, Do What Thou Wilt (DWTW). They both parallel each other in ways that Section 80 and Control System did years prior. The two pairs complement each other like Light and Dark, Yin and Yang – Balance. Focusing on the latter artist, Ab-soul, transcending time and space, references esoteric knowledge gained through years of education, dedication and long-term vision similar to Benedict (Baruch) Spinoza. Spinoza, a Portuguese Sephardic Jew whose family escaped prosecution by arriving in The Netherlands, studied to become a Rabbi only having to rescind from achieving this title because of his controversial thoughts that marked spirituality taboo within the Talmudic school’s thought. Spinoza represents a figure that promoted freedom similar to Ab-soul taking religious texts and interpreting them in ways that allow us to become freer while still holding morality and love to God, as Spinoza has stated, while being accused of being an atheist that, “For everything is done by the power of God”. Interestingly, Spinoza’s ideas resembled ideologies of Kabbalah-ism on a metaphysical level identifying the infinite (God) flowing into finite (man or imperfection/The World), where the cover of Ab-soul’s second album, “Control System” depicts the tree of life with its Sephiroth, a central figure of study in the Kabbalah. Since the release of his second album Control System, Top Dawg Entertainment (TDE) artist, Ab-Soul's, spiritual rhymes reach a zenith matched only by his fellow label-mates and philosophers of previous years. The expression of Ab-soul within his music idealizes true liberal philosophy, resembling Benedict Spinoza’s spirituality and ideas of “true freedom”. Liberty, a vision vehemently vented verbosely in Spinoza’s work and succinctly within Ab-Soul’s demonstrates their intersections in a “true freedom”. In Spinoza’s anonymously published Theological-Political Treatise, the foreword mentions, “Benedict Spinoza’s most immediate aim in writing this text was to strengthen individual freedom and widen liberty of thought in Dutch society, in particular by weakening ecclesiastical authority and lowering the status of theology” (viii, Israel). Essentially, the power of others to interpret religious texts takes away from our individual freedom and knowledge though the messages were written. The project that specifically aligns with these ideas would be Ab-soul’s These Days… – a controversial album that depicted Ab-soul slumped beneath an untouched cross riddled with bloody wounds wearing a crown of thorns as per Jesus of Nazareth and Tupac Shakur's "7 day Theory". One track in particular that addresses the same liberty to discuss these religious excerpts in a different light would be, "Stigmata", taken from the marks left in Jesus' hands following his Resurrection from Hell, which ends with a quote by Evangelist Leonard Ravenhill stating, “One of these days some simple soul will pick up the Book of God, read it, and will believe it. Then the rest of us will be embarrassed”. Ab-Soul uses the song as representing the metaphorical crucifixion that happens to be a common criticism of atheists that state the crucifixion of Horus and Dionysus follow similar themes as Jesus of Nazareth. Moreover, Spinoza states, “All men are ready to say that Holy Scripture is the word of God that teaches us true happiness or the way of salvation, but their actions betray a quite different opinion”. Ab-Soul being aware of the esoteric knowledge within religions stated theology as his favourite subject and with These Days representing an untouched cross with Ab-soul with wounds shows there’s an idea of crucifixion of light as determined through the Kabbalah "Tree of Life", shown through the cross that Jesus Christ was crucified upon. On "Tree of Life" the second track of These Days... Ab-soul states "Cause I just wanna live like the trees/Shoot the breeze, stay around some leaves, you nah mean?" 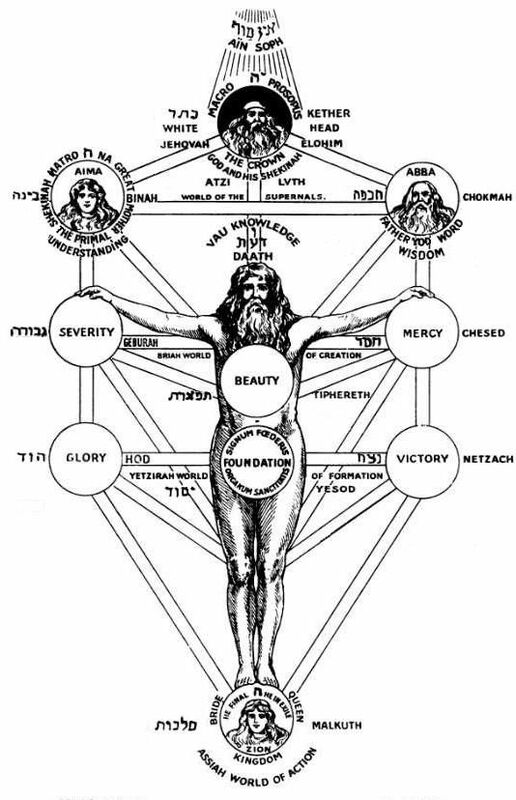 The rhetorical question follows a direct reference to the Kabbalah "Tree of Life" that has been compared to an actual tree with roots to the Sephiroth that represent the components of Man's soul that God created. Interestingly, on Control System Ab-soul replaces Daat, a Sephiroth that must be invoked indirectly represents with the Ichthys containing Ab-Soul's name, suggesting he holds the knowledge for Man to tunnel through the Control System that has edited our knowledge taken from the Bible. 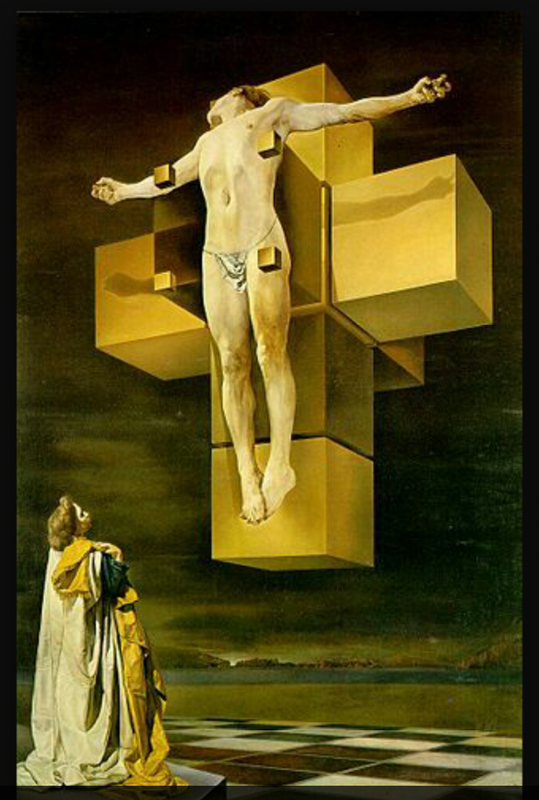 Dali actually painted Jesus Christ crucified within the 4th dimension representing it as an eternal metaphor as saviour of man transcending time, relevant to the idea of light being crucified on These Days… which led to Ab-soul stating on "They.Ressurect.Over.New" from Lupe Fiasco's Tetsuo & Youth, "Ab-solar system intergalactic soldier", leading to the concept of DWTW an album with tracks exuding darkness only uplifted by the light surrounding it with references to Alori Joh, an angel (Angels are made of light in Qu’ranic references). Ab-soul just like “Spinoza creates a whole new ‘science’ of contextual Bible criticism, analyzing usage and intended meanings, and extrapolating from context, using reason as an analytical tool but, except in the case of the rudiments of moral theory, never trying to uncover elements of philosophical truth embedded in Scripture”. The philosophical impact of These Days... will be felt in years to come as Hip-Hop frees itself from the idea of record labels. Moreover, the knowledge that Ab-soul provides the people allows for the universe to absorb his light and direct themselves more to the infinite than being confined by the finite world of man or the World.